Serenity Role Playing Game is a science fiction role-playing game released in 2005 and set in the universe of the movie Serenity and television series Firefly. It is produced by Margaret Weis Productions, Ltd, and its mechanics are the first iteration of the Cortex System. 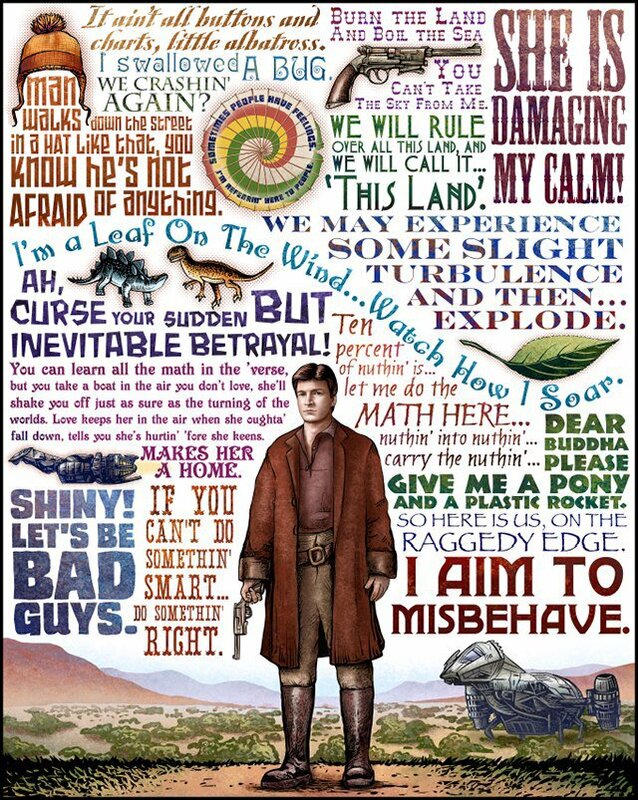 The themes of Serenity are similar to those presented in the original movie as well as its precursor, the show Firefly. The science fiction background is tempered by the feel of an old western movies, as aspects of high technology mix with frontier life on newly terraformed planets. The primary focus of the game is on constantly moving to the horizon and avoiding being tied down. Secondary themes are created through character interaction and there is plenty of leeway to allow for a Game Master to create their own themes within the setting. The system uses dice with 2, 4, 6, 8, 10, and 12 sides, described with the standard role-playing game notation of d2, d4, d6, d8, and so on. Each of a character’s attributes and skills is assigned one of these dice types, with larger dice representing greater ability. So, for example, a character might have Strength d6, Intelligence d8, Athletics d4, Guns d10, and so on. When a character attempts an action, such as piloting a spacecraft, shooting a gun, or punching someone, the player rolls the die for the character’s applicable attribute and the die for his/her appropriate skill, adds the results together, and compares the total against a difficulty number. Tasks of greater or lesser difficulty are represented either by increasing or decreasing the difficulty number or increasing or decreasing the dice the player rolls by “steps,” with each step raising or lowering the die type by one. So a d10 with a two step penalty becomes a d6, a d12 with a one step penalty becomes a d10, and so on. The Cortex System also includes Plot Points, which increase characters’ survivability and give players greater control over events in the game. Players can spend Plot Points to gain extra dice when making a die roll, reduce the damage from an attack, or even make changes to the storyline. Some Assets also require the expenditure of Plot Points. At the end of a game session, excess Plot Points are converted to Advancement Points, which a player spends to improve his or her character’s abilities. Nice post. I was checking continuously this blog and I am impressed! Extremely helpful information particularly the last part 🙂 I care for such info a lot. Firefly RPG is much fun.